Longer blades essentially mean the ability to work faster. The Barber is the kind of scissor that can finish the job quicker. Reliable cutting quality delivered from hollow ground clam blades and a classic semi offset handle to administer control. 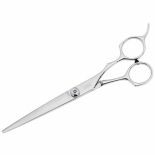 The secret is that despite its length, the Barber uses smaller proportions meaning it doesn’t feel heavy or clumsy. This is why it’s the ideal step-up pair from your usual scissors adding variety to your cutting techniques. 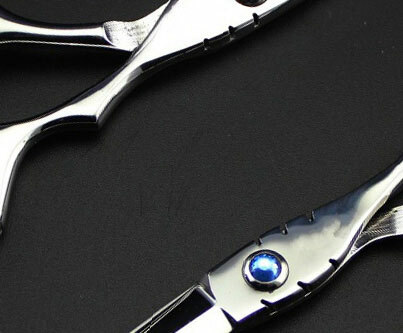 The Barber promises a large size scissor made suitable for everyone.